I decided to make the invitations for my son's 1st birthday party last year. 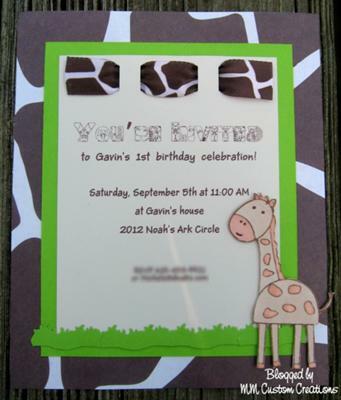 It was going to be a jungle-themed party so I zeroed in on the giraffe because I think they are so cute! I found some great giraffe patterned scrapbook paper to act as my base. 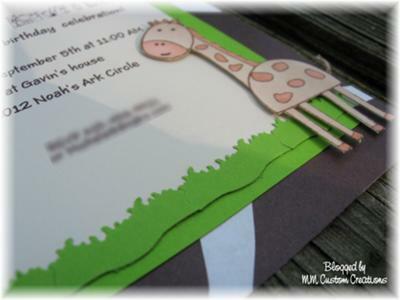 I pair it with some off-white cardstock that matched the giraffe paper, and some bright green cardstock to help incorporate the grass (scrapbook punch). I made sure that all the matted pieces would stay together with a piece of, you guessed it, giraffe patterned ribbon! 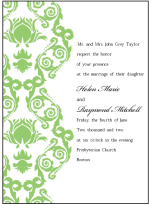 I found a super fun font that I used to write "you're invited." All of the letters are made from different animals using their bodies to form the shape of the letter. 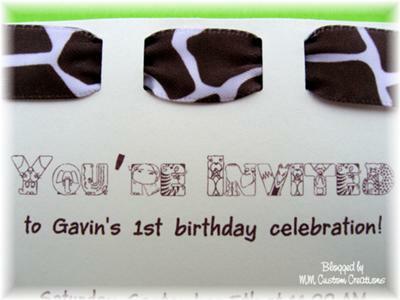 I used a giraffe stamp repeatedly on the same off white cardstock and cut them all out with my X-acto knife. I chalked them all lightly with brown chalk, then used a flesh colored Souffle pen to make his spots fluffy. I attached them to the invite with some pop dots. 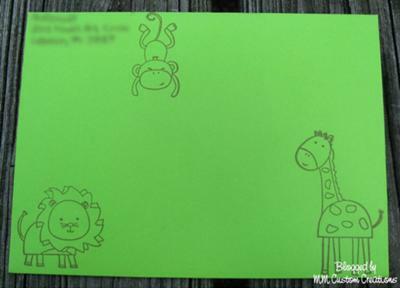 Finally, I used other animals from the same stamp set to stamp all of the envelopes. I think I made about 20 invites total, of course keeping one for myself! Join in and write your own page! It's easy to do. How? 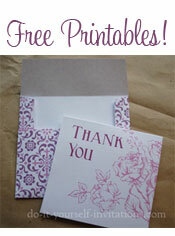 Simply click here to return to Handmade Birthday Invitation Ideas.